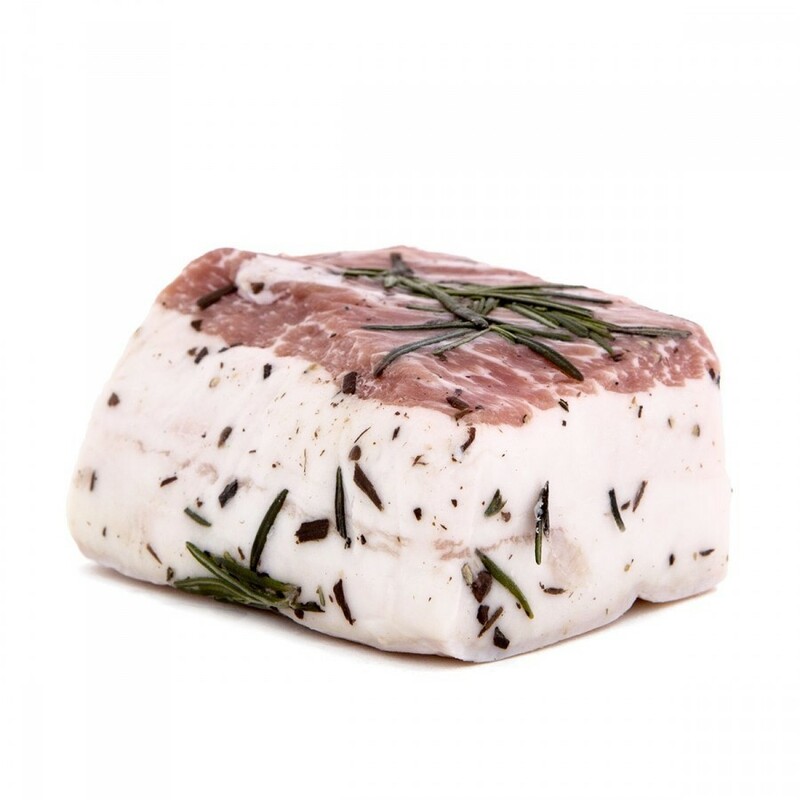 Ingredients: Pork lard, water, salt, rosemary, sage, garlic, bay leaves, unground spices. No preservatives added. Description: Lardo d’Arnad is a symbol of the Valle d’Aosta culinary tradition. Obtained from pork shoulder properly cleaned of fat and cut in a square shape, it is left to mature inside "doils", old containers made of chestnut or oak wood, where the overlapping layers of lard are alternated with a mixture of salt, water, spices, natural flavorings and aromatic mountain herbs. The lard is then left to age for at least three months, during which it takes on the scent and pleasantly sweet flavor that make it so unique. Cut into thin slices and enjoy with Raclette and vegetables in oil. Conservation: Wrap in aluminum or plastic foil and refrigerate at +2/4°C after opening.